It feels like a Tuesday yet it's actually Wednesday. That bank holiday weekend is making this week zoom by! The May release features six new stamp sets & four coordinating die collections that will be available for purchase on Saturday 10th May 10pm BST (UK time). I've also been a good girl, swotting up by doing my Online Cards Classes' - Watercolor For Cards Makers homework. I'm so glad I signed up to the class as I'm learning so much already! The card shows my first result from playing with my old watercolors behind the sentiment. Nothing fancy here; just painting a background. 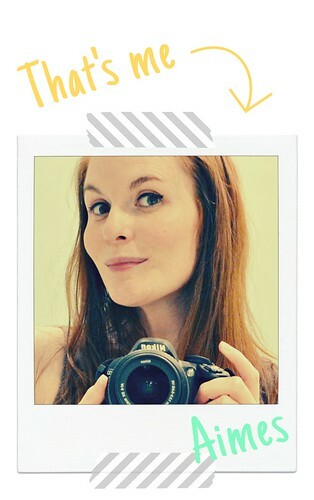 I decided upon yellow tones with a touch of orange to echo the postive vibe the sentiment gives. You don't need fancy watercolours to achieve this effect. Dye inks, especially Distress Inks, can work too - experiment! My watercolor paper curled due to bring saturated, but I just placed it under a heavy book to flatten it overnight. Only then did I stamp the sentiment as the surface was then flat to stamp on & the paint was dry. 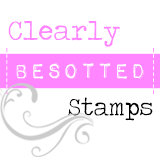 If you want more sneaky peeks of the new Clearly Besotted release be sure to head over to Stephanie's as there's plenty more over there with links to the rest of the design team who are sharing projects today. Thanks so much for visiting today! You're visits are always appreciated! Gorgeous Aimes - the photography is looking part-icularly polished today! I hope that blurred background isn't hiding anything salacious, lol!!!! I always appreciate your tips and tricks...the sentiment with the black pen comes in very handy. 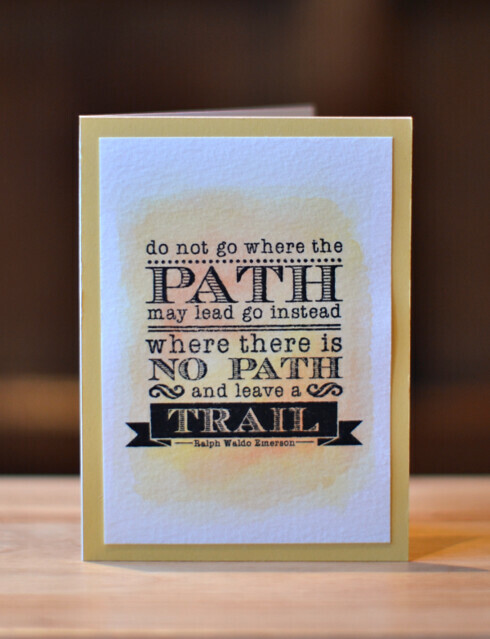 Love the bold sentiment and soft card Aimes. The softness of the watercolour looks fantastic behind the bold sentiment. I love these new CBS graduate set - fantastic quotes. A beautiful card to showcase the new release! Your background certainly does convey 'good vibes' that give the sentiment even more impact. A grad receiving this...delight!! Thanks for the inspiration! great background Aimes and fab new sentiment stamp. Your soft coloring behind that sentiment is great! I really like the background you chose for the sentiment. I have difficulty figuring out how to use sentiment stamps but I love your idea. Love this was of highlighting sentiment stamps and your color choice is beautiful.